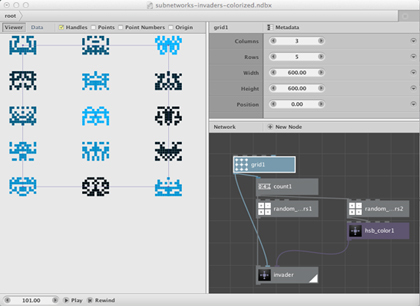 NodeBox is a free cross-platform application for creating generative graphics using a node-based GUI. 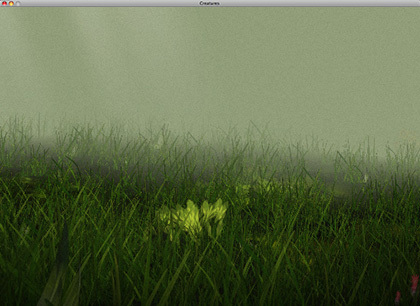 NOGL is a free cross-platform library for creating hardware-accelerated generative graphics. 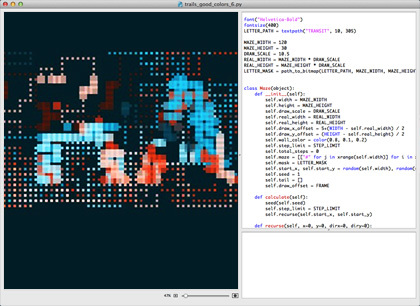 NodeBox classic is a free Mac OS X application for creating 2D visuals using Python code. EMRG is a cross-domain research group associated with the St Lucas University College of Art and Design of the Karel de Grote-Hogeschool (Antwerp, Belgium). EMRG has been active since 2004. EMRG specializes in computer graphics applications and cutting-edge research in the domain of computer graphics, user experience, creativity, but also in artificial intelligence and natural language processing. Most of the EMRG research is based on competitively acquired funding, including funding agencies such as the Institute for the Promotion of Innovation by Science and Technology in Flanders, the Interdisciplinary Institute for Broadband Technology, and private companies. EMRG is pronounced as emerge (ɪˈməːdʒ). Emergence or self-organization can be observed in for example ant colonies, the weather and the economy. It is also a common feature of generative art, art produced by algorithms and inspired by self-organization. A key theme in our research is the role of computers in (visual) communication. With the WWW availability of information has grown immensely and consequently computers are playing a dominant role in the way humans process information. Our aim is to promote the computer from a production tool to an emergent/creative partner that helps extract, process and present information. EMRG is passionate about open source software. Most of our tools are free or have licenses interesting to artistic, scientific, non-profit as well as commercial organizations. EMRG is passionate about teaching. We are internationally recognized for our lectures and workshops inspiring the next generation of digital innovators.